Eighteen creatives and artists (9 from Asia and 9 from Europe), selected through an international open call, will be given the opportunity to discuss and try to answer the question “What is next in art, cities and regeneration?”, focusing on the role and perspectives of public art and its implications for the social, urban context as a tool for socio-cultural transformation. The works will take places at Manifatture Knos and other regenerated spaces in the city of Lecce. At least one of the best artistic proposals will be realised after the Masterclass. A publication documenting the Masterclass and individual artist projects will be edited afterwards as well. Works will be in English. DEFAULT 13 is organized by RAMDOM association (Lecce, Italy) and curated by Arthub Asia (Shanghai, China). 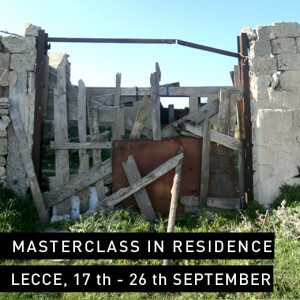 It is presented in collaboration with Gasworks (UK), Rogue Art Asia (Malaysia), Made in Carcere (Italy), Manifatture Knos (Italy), Cultura21 Nordic (Denmark), the School of Critical Engagement (Denmark), PB43 (Denmark), Vessel (Italy), the Region of Apulia (Italy), the Municipality of Lecce (Italy). DEFAULT 13 project is supported by the Asia-Europe Foundation (ASEF), Arts Network Asia (ANA) and Trans Europe Halles (TEH) as part of the programme Creative Encounters: Cultural Partnerships between Asia and Europe. 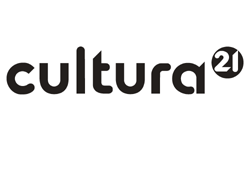 This project supports the candidature of “Lecce Capital of Culture 2019” .